The New York Times doesn't want you to miss the Pacific Cost exhibit at the National Museum of the American Indian. �Listening to Our Ancestors: The Art of Native Life Along the North Pacific Coast� features the works of 11 Native communities in Pacific Coast communities in the United States and Canada. 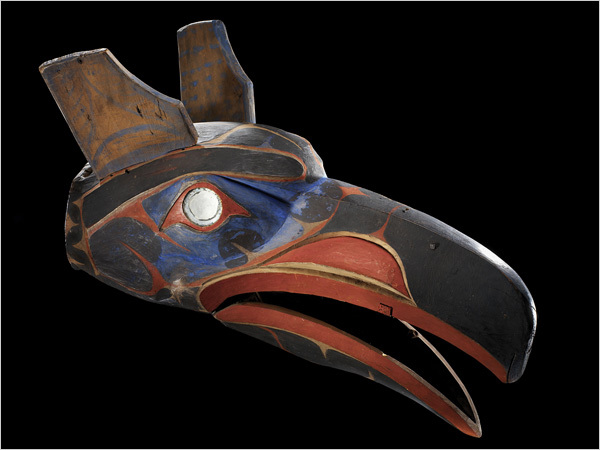 "The objects they chose � call them art, artifacts, ceremonial utensils, whatever � are utterly riveting, and none more so than the masks," Holland Cotter says. The exhibit is the latest installation at the museum.